The March Newsletter is now available on-line. Archived copies of our newsletters are available by clicking the "Newsletter" link on the left. The 2018-19 TGCA basketball honors have now all been posted to the TGCA website under the basketball tab. Click on the honor you wish to view from the menu on the left-hand side of the page. Congratulations to all. The 2019 TGCA Summer Clinic Exhibit Hall registration is now open for our vendors. Just click on the Exhibitors link in the menu on the left-hand side of this page and you will find the contract, the floor plan to select your booth preferences, the lead retrieval form and the booths by number list. We hope you will join us this year for a great TGCA show during Summer Clinic, July 9-10, in Arlington. Hotel Reservation Services are now open. Book your room through TGCA and save on rates. Link is located on the Exhibitor page in the menu on the left-hand side of this page. The TGCA Board of Directors has approved a fees and dues increase beginning February 1, 2019. This will be effective for the 2019-20 membership year, beginning June 1. Membership renewal and all clinics registration will open on-line and by mail for the 2019-20 year on February 1st. If you still need to renew your membership for the 2018-19 year, which expires May 31, 2019, after February 1st, you will need to send in a paper form, which can be found on the website under the "Forms" category in the menu on the left-hand side of the main page of the website. Be sure you select the 2018-19 form. Prices will remain the same for the remainder of the 2018-19 year, but you must send in the paper form. EXTREMELY IMPORTANT: If you renew your membership on or after February 1st on-line through the Membership Site, you will be renewing for the 2019-20 year, beginning June 1, 2019, and ending May 31st, 2020. Please be sure that is what you intended to do. There is a $2.50 processing fee when renewing on-line. This is charged to us by the on-line credit card company for each transaction that goes through, and is a pass-through from TGCA to the credit card company. Please be sure to inform your business office of the increases. The 2019 TGCA Summer Clinic for both the Spirit Division and Athletic Division will be held in Arlington at the Arlington Convention Center July 8-11. The agenda has been posted on the Summer Clinic page. Badges will be required at all CCP (Coaches Certification Program) lectures, as badges MUST BE scanned for those lectures. Clinic registration will open February 1st. Hotel Reservation Services are now open through the Summer Clinic page and can be accessed by clicking "Summer Clinic" in the menu on the left-hand side of this page. All attendees, exhibitors, and friends, family and fans for the All-Star games are invited to use the Hotel Reservation Services link to book a room at the special TGCA rate. Membership renewal and all clinics registration on-line will open February 1st. Agendas will be posted as soon as they are completed. The 2018-19 UIL Sports Updates presented at Summer Clinic are linked below in PDF format. Click the sport you wish to review. You MUST be a member of TGCA before November 1st to nominate for honors or to receive honors as a coach. If you miss that deadline, you will have to file an appeal with the Executive Committee to see if you will be eligible to nominate for honors or to receive honors yourself, or pay an additional $60.00 override fee if you prefer not to file an appeal. If you need help with the renewal process, or the appeals process, please contact us. We will be happy to assist you. Thank you for your continued support of TGCA. All varsity coaches in cross country, volleyball, basketball, track and field and softball are encouraged to nominate their deserving sub-varsity coaches for TGCA Sub-Varsity Coach of the Year in their respective sport. 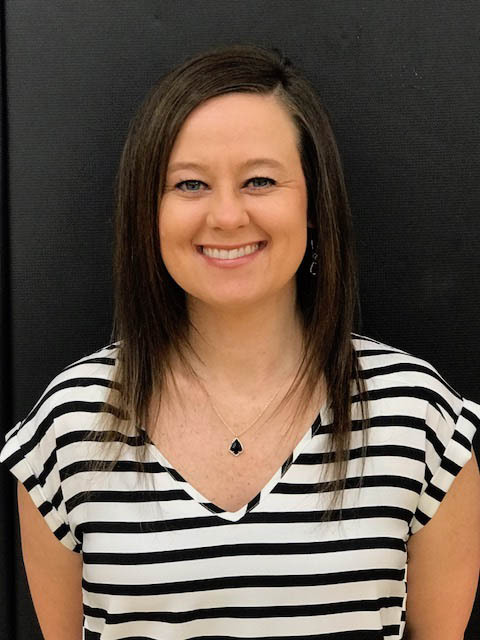 Sub-varsity coaches may coach multiple sports, but they cannot be the varsity head coach in basketball, volleyball or softball to qualify for Sub-Varsity Coach of the Year. Nominations should be done on-line, just like any other honor nomination. Deadline is May 1st, and nominations will close at noon on that day. The UIL has released the 2018-20 realignment and reclassification, including volleyball. Click here to go to the UIL website realignment page. When you are ready to get started planning your game! Let’s make Texas the national leader in this year’s Play4Kay! chasity.melvin@kayyow.com or direct at 919-659-3305. Join the high schools/middle schools across the country participating in Play4Kay games. If you are a coach, register your team here https://kayyow.com/play4kay/high-school/. •	Choose a regular season game and call it Play4Kay. •	Fundraise and donate it to the Kay Yow Cancer Fund. •	Honor cancer survivors on-court during your game. •	Educate students and community about the Kay Yow Cancer Fund. •	Purchase generic T-shirts from the Kay Yow Cancer Fund to promote uniform branding of the Kay Yow Cancer Fund. Visit our online store! The Texas Girls Coaches Association, in partnership with Texas Health Sports Medicine, is offering, FREE OF CHARGE, the training required by H.B. 2038. Coaches were required by state law to complete two (2) hours of concussion training no later than September 1, 2012. In addition, coaches are required to complete two (2) hours of additional concussion training every two years. The Texas Health Sports Medicine group is certified through the TEA and approved by the UIL to offer the concussion training course. Through the website of the Texas Girls Coaches Association, this course is being offered online at no cost to all coaches. A test must be passed at the completion of the course. If the test is passed, the coach will then be able to print a certificate of completion that can be filed with their school. Please proceed to the following link to begin the training. Once you have accessed the link, click on “Texas Coaches Concussion Training”. Balfour, the official ring supplier of the Texas Girls Coaches Association, is now offering student/athletes selected under the TGCA umbrella for All-State, All-Star, and Academic All-State the opportunity to purchase a ring to symbolize their achievement. All the rings offered are custom crafted just for the individual by specialized Balfour craftsmen. Balfour’s expert craftsmanship ensures that the official TGCA ring becomes a distinctive keepsake and a symbol of the student/athlete’s athletic or academic success. “The Texas Girls Coaches Association and Balfour have formed a partnership to service all the ring needs for individuals selected by the association for All-State, All-Star, and Academic All-State. There have been requests, and a need for many years, for an official ring offered by TGCA for the student/athlete honors provided by TGCA. Balfour, through their passion for celebrating life-defining moments, has designed custom rings for TGCA that applaud the success of all student/athletes selected by the member coaches of the association for honors. 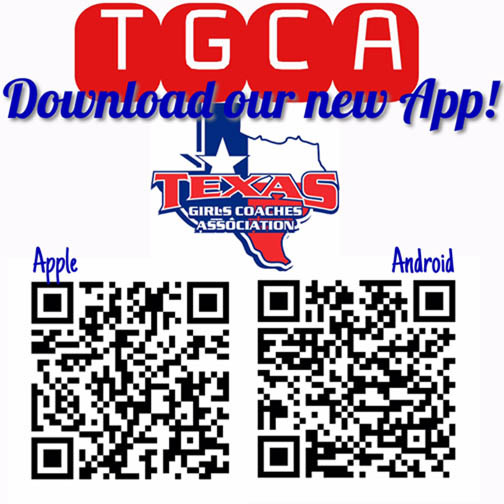 Additional information and order forms can be seen on the Texas Girls Coaches Association web-site at: www.austintgca.com,” said Executive Director Sam Tipton. MaxPreps, an affiliate of CBS Sports, is a FREE sports information service provided to you and your team as a membership benefit of the Texas Girls Coaches Association. MaxPreps.com aspires to cover, at no cost to TGCA members, every team, every game and every player. This tool will be extremely beneficial to you as a high school coach, your parents, fans, school administration, athletic directors and webmasters. MaxPreps is now also a sponsor of the UIL. TGCA highly encourages you to utilize this valuable service. Please enter information on your team. As a member coach of TGCA , take the time to use MaxPreps to provide FREE hard-earned recognition for your team. MaxPreps is an on-line service designed to record your team's achievements. Go to www.maxpreps.com or click the MaxPreps logo above and enter your information today. Check out the MaxPreps stats and scores on the MaxPreps widget at the bottom of the page. Any coach who has not received their user name and password for their free MaxPreps team account should e-mail coachsupport@maxpreps.com or call 1-800-329-7324 extension 1. Please remember that membership deadline for nomination is November 1. All on-line nomination deadlines are the Monday at noon before a particular sport's state meet. Sub-Varsity on-line nomination deadline is May 1. To access simple and detailed instructions on nominating for TGCA honors on-line, click here. Chiropractic Care, Hearing Care and Prescriptions! Child Safe Kits – this valuable tool can provide information to the authorities if your child or grandchild should ever go missing! Family Information Guide – When emergencies occur, families can avoid confusion and additional stress by having all of their critical information organized in one place. Please check your mail for the letter regarding these new benefits! Once you return the response card, an AIL representative will contact you to schedule a convenient time to deliver your benefits and explain additional insurance coverage available. For more information on these benefits, please contact Christa Davis at 281-386-9552 or csdavis@ailife.com, or Arnaecia Alridge at 281-857-9325, ajalridge@ailife.com. To view the letter on-line, visit http://www.ailife.com/benefits/sgM9W. TO ALL COACHES: Please go on-line and check that your profile is up-to-date, including addresses, telephone numbers (school, cell, home), and all other personal information. You can change all information on your profile except your school. Please check your coaching experience and add information as needed. We would also appreciate an update on your e-mail address, as this is our easiest and quickest way to alert you to new developments regarding your sport. Our files are only as accurate as the information you put in them. We appreciate your help in this endeavor.